The wedding-planning-notebook is an invaluable tool. It keeps everything about to your wedding nice and organized. I suggest you put in section dividers and clear plastic pocket pages. These are easily found at office supply stores. Now when I say a notebook, I really mean a one to two inch binder or a folder with little brads to hook papers in and pockets for all your goodies. This is the place to put in your budget, printed charts, timeline, all your receipts, any business cards or advertisements you might want to keep, those magazine pages you tear out, notes to yourself, etc. This is the book that keeps you all together so that you don’t have to go searching the house like a tornado for that misplaced piece of paper. You may even want to keep a copy of contracts and rental agreements in your wedding notebook also. This, in my opinion, is better than having it on a computer, because the wedding-planning-notebook can go with you everywhere you go. It has everything that you have considered worthwhile putting into it, whereas, computers won’t have every chart, card, magazine page, etc. 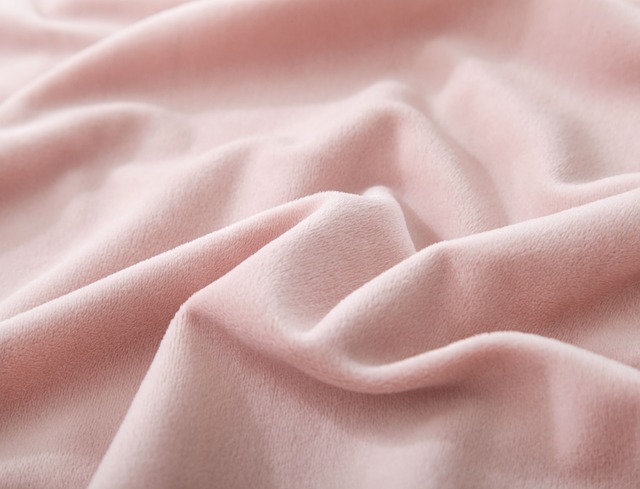 You can have swatches of material or paper that you want to coordinate with other decor or details in your flowers. Whatever it might be, a picture on your phone will never be as true to color as a piece of the real deal. If you choose to put dividers into it, here are some of the labels I think most helpful: Budget, Timeline, Contracts, Invitations, Ceremony, Reception, Flowers, Attire, Cake, Photography, Music, Transportation and Honeymoon. Of course, you can add and omit any that you would like. And don’t forget to leave a section with blank paper for jotting down ideas and notes to yourself. The wedding-planning-notebook should also be taken with you when you go to see any vendor that you may be considering. It will give you a place to write down important information that you may need to compare for your final decisions. Ceremony -- Be sure to write down what the requirements of the church or other site are. Some have music restrictions and dress restrictions. Some have classes that must be attended. To ensure that you have everything in order when the big day arives, record it and mark it off as you go. Reception -- Keep all the brochures, price lists, rules and regulations, and pictures of all the places that you visit. After you choose the site you want, get rid of all the other sites' information leaving only the papers you need in your notebook. Music -- Keep notes on suggestions from friends, songs you hear that you might want to use, CDs and singers. Decide what type of music you want for the ceremony (organ, classical, traditional, modern) and reception (pop, oldies, jazz, soul). That way you know what you are looking for and what to record in your notebook. Flowers -- When looking through magazines or brochures, cut out pictures of bouquets and arrangements that you think you might like to have. Cake -- Cut out pictures of cakes that you might like. Print out pictures of cakes you run across while surfing the net. This will give the bakery a good idea of the style of cake you would want. Invitations -- Put any ideas for wording, design and color in your notebook. Print or cut pictures of some of the invitations you run across. Photographer and Videographer-- Keep advertisements. Write down names when people suggest them to you. Even write down the ones that you hear about that are not good. This way you can be sure not to use them. Transportation--Write down what you and your fiance want. A balloon? A classic car? A carriage? Use a transportation chart to be sure all is accounted for. Attire -- In each section, keep pictures of gowns, dresses, tuxes that you really like. Put the paper work of the ones you choose in your notebook. Keep the business card of the store, the information on the dress or gown, and the salespersons name of any choice that you may want to come back to later. When you find the bridesmaids dresses ask for a swatch to match your other items. 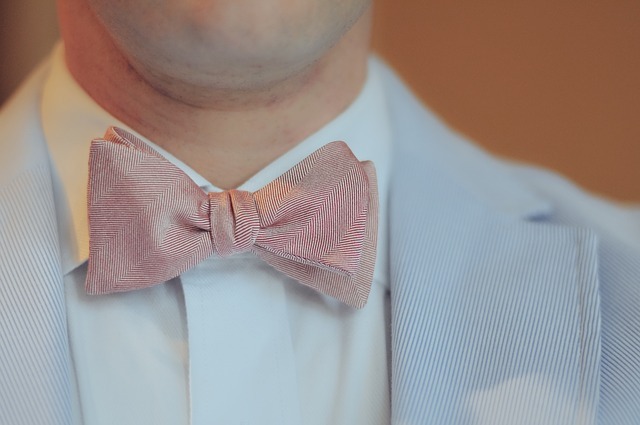 After all you want to match that cute bowtie your groomsmen will be wearing. Right? 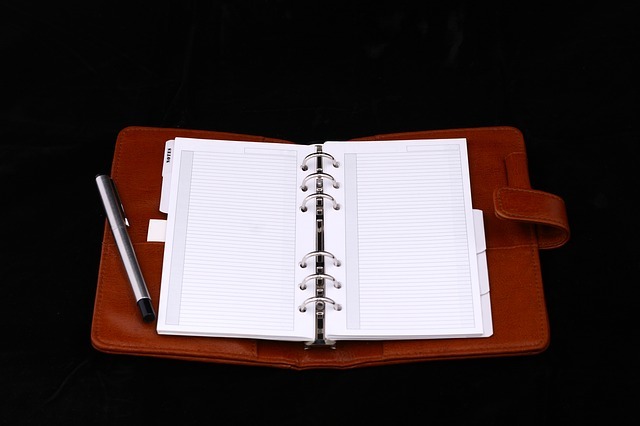 Even if you choose not to have a planning notebook, you should have some system to keep all your information together. It is much easier to have everything recorded so that you don’t have to ask the same questions over and over, and you don’t have to rack your brain trying to remember the details of a discussion or agreement.